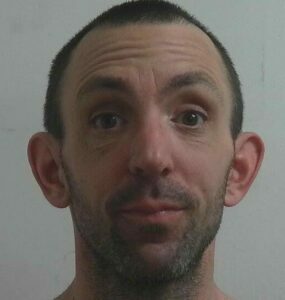 Neil Lanteigne, 43, armed with a semi-automatic rifle, allegedly led officers on a four-hour chase through his remote, wooded property in West Paris. 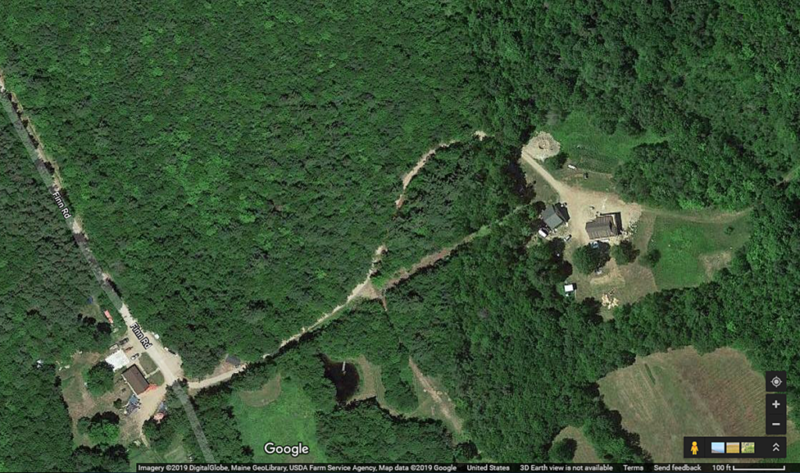 This is an aerial view of the West Paris property of Neil Lanteigne, who led officers on a chase Wednesday. Lanteigne's property is about a mile off Finn Road, down a long wooded drive. WEST PARIS — An armed confrontation between police and a local man was the result of a longstanding property dispute that boiled over Wednesday, the Oxford County Sheriff’s Office said. Neil Lanteigne, 43, fired shots and fled on a snowmobile and snowshoes after sheriff’s deputies arrived at the property about 2:46 p.m. The deputies were sent to arrest him on a warrant for criminal trespassing and criminal threatening with a firearm. Lanteigne fired shots during the four-hour pursuit through his remote, wooded property about a mile off Finn Road, but officers could not immediately tell whether the shots were coming at them, said James Urquhart, chief deputy of the Oxford County Sheriff’s Office. The confrontation was the result of a property dispute between neighbors that began in 2016. The right-of-way issue escalated over the past three months, Urquhart said Thursday. During the investigation, police discovered Lanteigne was convicted of a felony in Florida and was prohibited from owning a firearm. Last Friday, officers surrounded both access points to Lanteigne’s property and tried to negotiate with him. He barricaded himself in his house, and attempts to bring him out fell flat. He said a number of factors contributed to the decision to halt the attempt to arrest Lanteigne. Among them, the remote geographic area of his property and the semi-automatic weapon. “It was determined initially that we weren’t going to force the issue, cause a standoff and have a negative result,” Urquhart said. Officers from the sheriff’s office, knowing they would be back on the property, parked two snowmobiles in the neighborhood, on Finn Road. Over the course of the week, Lanteigne continued to fire his weapon from his home. Urquhart said police continued to make contact with Lanteigne through multiple phone calls and emails. Lanteigne, an amateur radio operator, made sporadic contact with deputies, wanting to discuss the issue, sometimes for an hour at a time, before going silent for days. About 9:30 a.m. Wednesday, Lanteigne approached his neighbors with his semi-automatic weapon drawn. Later, he sent one of his dogs to attack his neighbor at the disputed property line. The dead end on Finn Road was shut down and residents of the two homes were placed on lockdown. Lanteigne was finally apprehended on his property, unharmed. Lanteigne was beaten by a group of landowners a few years ago, suffering a broken eye socket, four broken ribs and a fractured vertebra after walking his dog on a road near his property on the boundary separating Paris and West Paris that he believed was maintained by the town. Following that incident, the neighbors obtained a no-trespassing order against Lanteigne. Included with his request was a property survey conducted by JKL Land Surveying and recorded on Jan. 25, 2019, with the Oxford County Registry of Deeds. According to Lanteigne, the survey shows he is within his right to exercise his dog and to access his property along the disputed property line. According to a criminal history record, Lanteigne was charged with two counts of criminal trespass in 2016. Both were dismissed. That year, he was found guilty of criminal mischief and disorderly conduct, stemming from a Jan. 4, 2013, incident, and was fined $200 for each charge. Lanteigne was arrested on a no-bail warrant, and had yet to have bail set by a judge, Oxford County Jail Administrator Dana Dillingham said.